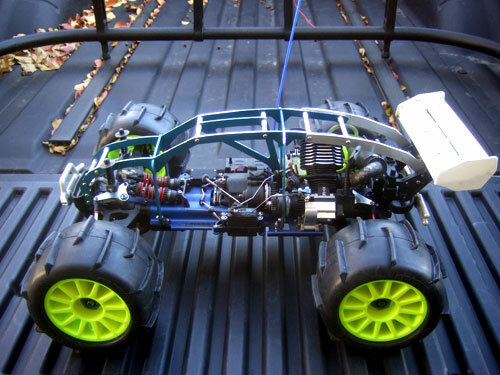 For the most part I have all the hopups that I wanted for the Nitro Revo, but after installing the Buku rear exiting tuned pipe, I have a problem with mounting a body on the truck. If I trim the body so I can the pipe can fit, I basically cutting off the whole rear end of the body. Cutting half of the body of is not a big deal except there is nothing to protect the engine if I flip the truck over. So the best solution for me is to get a roll cage. I was lucky enough to find one on ebay that is used and made with quality material. I know you will find a lot of roll cage for sale but there are only a few that can really take the abuse. 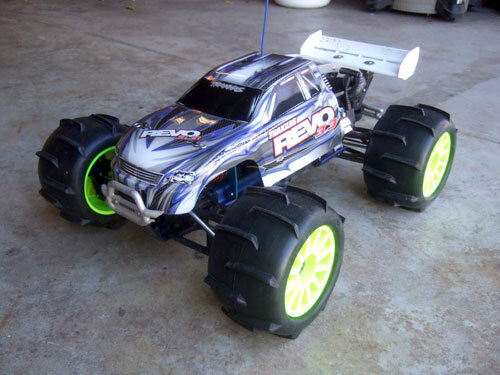 So I won an ebay auction for a RC Solutions Roll Cage, and according to their website the roll cage is strong enough where you can rest a full size car on top of it. And of course, nothing you get that is aftermarket will fit perfectly. 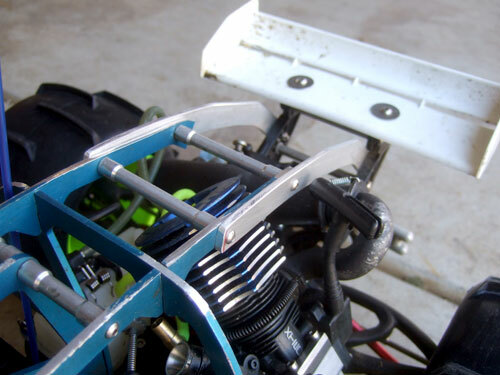 Since I have a big block engine with a rear exiting pipe, the roll cage is in the way of the tuned pipe. So I had to cut part of the roll cage and extend the rear further back so it will fit over the tuned pipe. Here is a better view of what I am talking about. The blue aluminum is the original roll cage, and the silver what I made to extend the roll cage so it will fit over the Buku pipe. 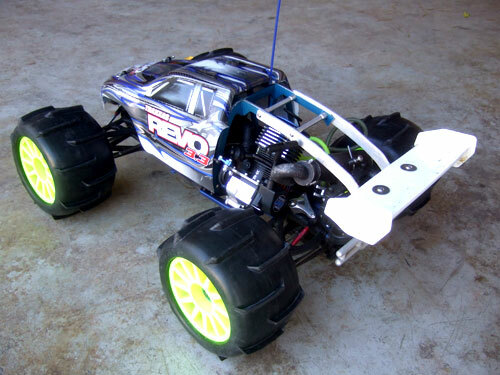 Here is a front view of the RC Solutions roll cage mounted to the Revo. 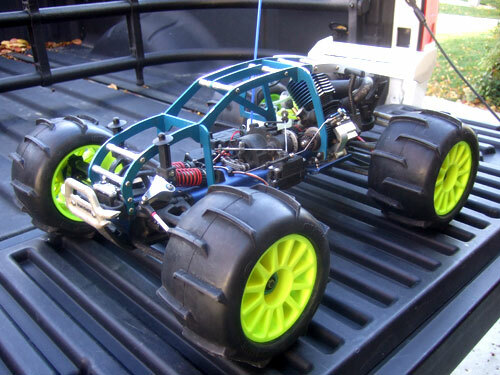 One thing I like about this roll cage is that I am still able to mount the body to the truck. Here is a view from the rear.